In fact, over several years, with colleagues in multiple research projects, we have talked at length to many hundreds of younger and older working-class people, men and women, about work, welfare and worklessness. Much of this has been done in very deprived and impoverished neighbourhoods of Teesside. To make all this more poignant, the second series of Benefits Streets is currently filming here. So, what has been our criticism? On the basis of a recent Joseph Rowntree Foundation study, with Prof. Andy Furlong we published a journal article questioning what we saw as a central assumption of Benefits Street. Chiefly, we criticised the myth, which is also commonly peddled by politicians and think tanks, that there are areas of the country which are so affected by entrenched cultures of ‘welfare dependency’ that virtually all are unemployed. The rationale for Channel 4’s Benefits Street, signalled by the programme’s name, was exactly this; that whole streets and neighbourhoods are of out of work and living on welfare benefits. 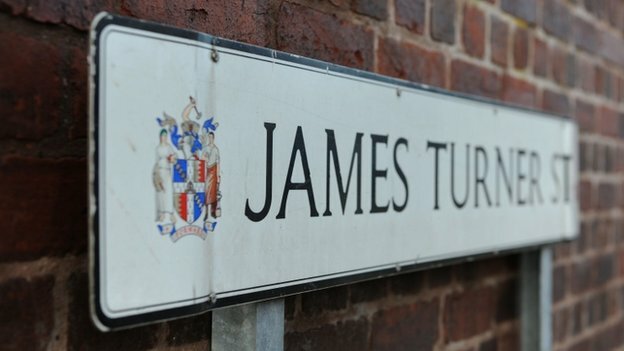 On the basis of quite simple research (by ourselves and by Declan Gaffney), we showed that this was not true: (only) somewhere between 38% and 35% of households on James Turner Street in Birmingham, the location for the original Benefits Street, might be regarded as ‘workless’. This is undoubtedly a high rate – but far from the 90% broadcast by tabloid newspapers as being on ‘welfare handouts’ (a figure presumably suggested by programme makers). This is peculiar. We challenge any disinterested viewer to look at the promotional text and film sequence for series one, episode one – and to hear the statements made by the narrator and unchallenged claims by participants – and come to a conclusion other than that this programme is, quote, ‘about one of the UK’s most benefit dependent roads’ where ‘most of the resident are claiming benefits’ and ‘only five percent are in jobs’. A potentially more viable defence is that, to use the words of Love Productions, ‘the programme is an honest depiction of life on these streets’. The idea here, also promoted by Channel 4, is that Benefits Street gives a voice to the otherwise voiceless oppressed. Thus Kieran Smith, creative director of Love Productions, told Teesside’s local paper that ‘Benefits Street is “not exploitation” but is about giving a voice to a community without one…we think it’s incredibly important to represent those people. One of the important things about the series is it showed a community that people didn’t have a lot of awareness about’. Does Benefits Street ‘tell it how it is’? Does it really give an in-depth and serious insight into the realities of worklessness, work and welfare in Britain’s impoverished neighbourhoods? Is it actually a form of sociological public service? This is doubtful. The claim that people like us, as critics, are the censors whilst the programme makers provide access to an otherwise hidden truth is a line of argument we find difficult to accept. We have already noted that the central premise of Benefits Street is unfounded; there are not neighbourhoods in the UK where the majority of residents are on out of work benefits. There is little evidence to support the idea that ‘welfare dependency’ or a ‘benefits culture’ is a significant problem in the UK. Much of the ‘evidence’ offered tends to be anecdotal. Only a few studies have ever suggested there may be something approximating ‘a culture of worklessness’ in some deprived neighbourhoods. Overwhelmingly, studies conclude that unemployment is detrimental to social, psychological and material well-being. Unemployed people typically prefer not to be unemployed but to be in jobs. Rising numbers of people in the UK receive ‘in-work’ benefits . 4.3 million working families receive social security benefits. This is because the wages they receive for the jobs they do are too low to live on adequately. This is a key reason for the growth in child poverty – nearly two thirds of children in poverty live in a family where at least one parent is in a job. Substantially the biggest claim on the welfare state in the UK is made by pensioners; they are the main recipients of welfare benefits. Housing benefit accounts for a sizeable chunk of welfare payments. 100% of this goes to landlords, not to tenants. Again, many claimants are in jobs not unemployed. In the year from January 2010, there were 300,000 extra housing benefit claimants, of whom 279,000 were employed; the result of a double whammy of rising rents and low wages. A very common experience of work and welfare in the UK is now one of shuttling between low-level, insecure and poorly paid jobs and periods of unemployment (what is known as the ‘low-pay, no-pay cycle’). For instance, although in 2012 around 1.6 million people were claiming Jobseeker’s Allowance (JSA), 4.8 million had claimed JSA at least once in the previous two years. Several factors can explain these poverty dynamics but probably the key one is the insecurity of much current employment; workers would prefer secure, lasting jobs. To conclude, many de-industrialised neighbourhoods, to use the words of the Channel 4 executive, do experience extreme ‘social distress’ – that is true. That ‘we’ have a duty to report, to describe and to explain we’d also wholeheartedly agree. Does Benefits Street and similar programmes achieve this in a complete, convincing and humane way? No, we think not. This is such a calm, well argued piece. Well said.